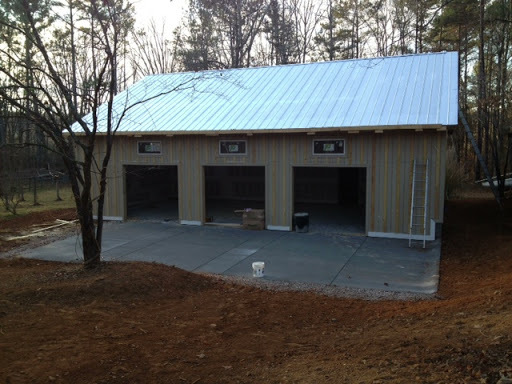 In this project, we we’re able to help an avid race car enthusiast build his dream garage sited on a beautiful country parcel. 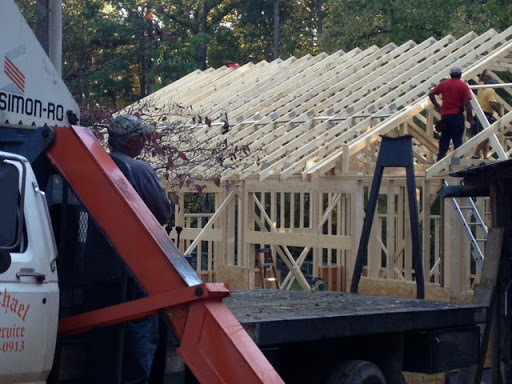 The challenge was to build an energy efficient conditioned garage space on a tight budget. Over 3000 sq. foot, the two story auto shop is complete with storage facility, auto photo show room, multi-purpose area, and kitchen. The space is heated with a single Fujitsu mini split HVAC unit, which handles about 1200 sq. feet. of the main open garage area. A zoned heat pump conditions the kitchen, office, showroom, and second floor storage area. 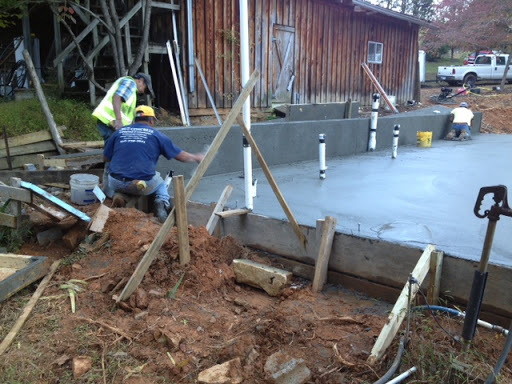 Built on a concrete slab, the foundation was thickened to facilitate a large capacity auto lift. Monolithic slab footing is a method in which the foundation is poured in a single, integral pour, offering a quick, inexpensive option. Another one is slab jacking. For the structure, we had intended on using ThermaSteel Insulated Panels which can be custom ordered from Cambuild for a seamless installation. We opted for structural exterior panels known as Louisiana-Pacific SmartSide reverse board & batten engineered siding. Interlocking ship lap panels provide code required sheer strength for the building, as well as an attractive exterior siding look that has a better warranty than popular fiber cement siding systems available. The roof is metal, and the envelop of the building was sprayed with foam insulation allowing for a large storage area above the garage and office space below.